This 8-week class will explore attachments as a way of joining and securing. Students will build on their fabrication techniques using torches and cold-connections (without soldering). 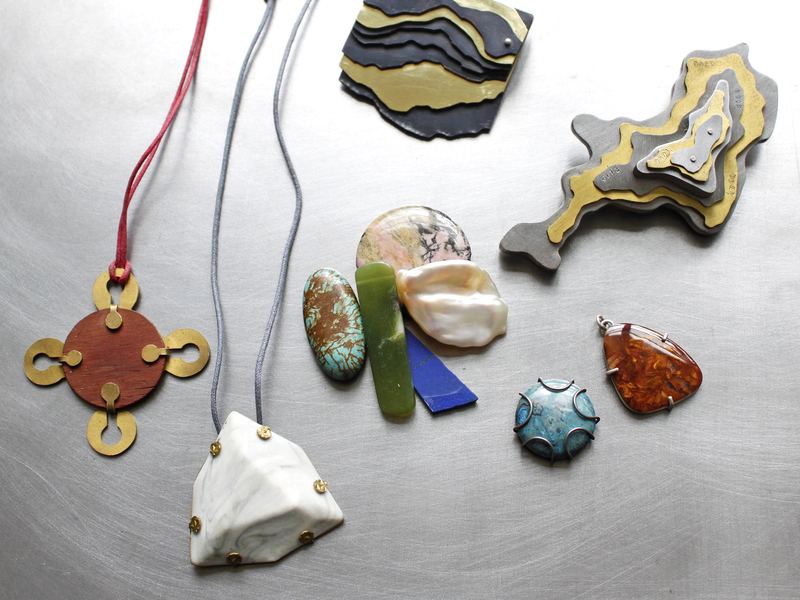 These various attachment methods offer new and exciting approaches to combining metals or introducing mixed media such as gemstones, wood, ceramics, plastics and more. Rivets, pinning, stitching, tabs, and basic prongs will be covered. Some previous jewelry soldering experience is necessary. Maximum class size 12 students.